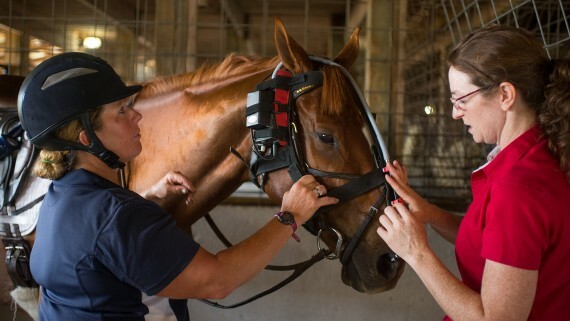 The equine surgery services at North Carolina State University specialize in diagnosis and treatment of horses with diseases that may require surgery as a major component of their management. All of the equine surgeons at NC State are board-certified by the American College of Veterinary Surgeons (ACVS). Did you know that the only surgeries routinely performed in general equine practice are minor lacerations and castrations? This is because horses are relatively difficult to anesthetize, and have a greater incidence of postoperative complications than other species. Therefore, advanced surgical expertise (with the accompanying expertise of anesthesiologists) are needed. 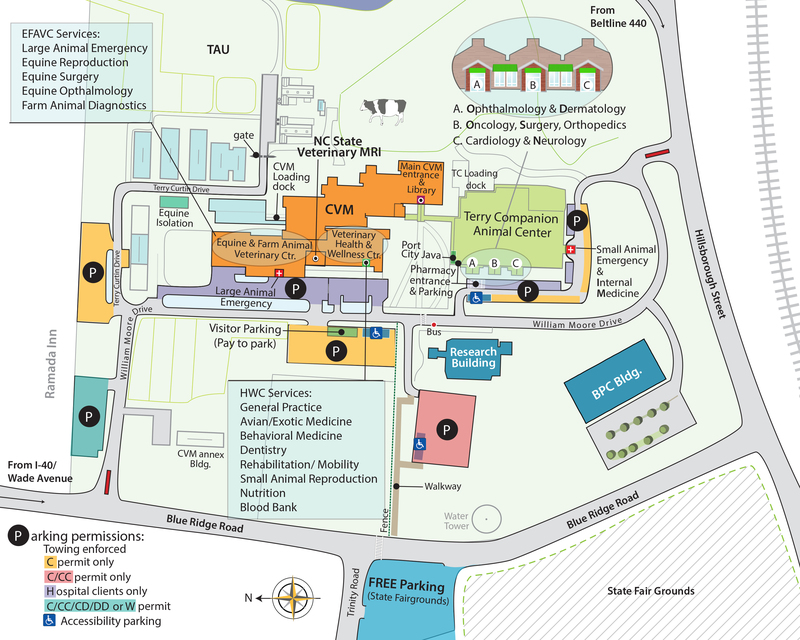 In addition, surgeons at the NC State Veterinary Hospital have access and expertise in a range of high tech diagnostics such as nuclear scintigraphy, ultrasonography, thermography, and arthroscopy (for lameness), laparoscopy (for workup of chronic colic) endoscopy (for throat problems), and computed tomography (for sinus problems). Lameness– Principally orthopedic disease in performance and companion horses, including arthritis and foot problems. Fractures – Including small ‘chip’ fractures that may impede optimal joint function, and long-bone fractures, which are frequently devastating. Colic – A catch-all term for abdominal pain, which may require surgery for diagnosis and treatment. Respiratory disease – primarily involving throat and sinus problems of performance horses. Reproductive problems – such as dystocia (difficult birth), and perineal lacerations acquired during foaling. Lacerations (cuts), which may involve major orthopedic structures such as joints and tendon sheaths. Neoplasia (cancer) – which in the horse most commonly involves theskin (sarcoids, melanomas, and squamous cell carcinoma being by far the most common tumors) but may include internal organs (such as lymphosarcoma). Learn more about our equine endoscope service. The equine orthopedic surgery service receives elective cases routinely from 9AM on Mondays and Wednesdays and other weekdays as required. The equine soft tissue surgery service receives elective cases from 9AM on Tuesdays and Thursdays and other weekdays as required. The surgery services perform elective surgeries on the days they are not receiving. Please call between 8-5 weekdays for an estimate and appointment.